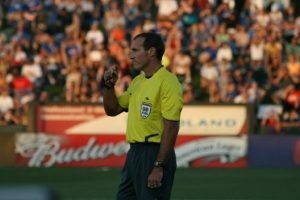 Sean Hurd has announced his retirement from officiating, ending a career which included 11 seasons in MLS, 8 years on the FIFA panel, and a selection to the 2014 FIFA World Cup. 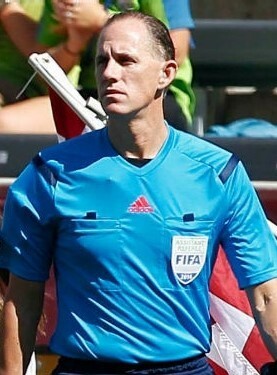 Hurd, who resides in Jacksonville Beach, Florida, began officiating in MLS as an assistant referee in 2006 and became a FIFA Assistant Referee in 2009. 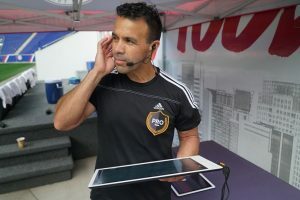 He continued to move through the ranks internationally, working several CONCACAF and FIFA competitions along the way and accomplishing milestones that few referees would dare to imagine. 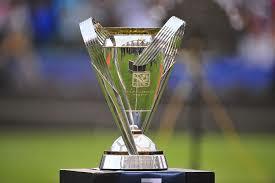 Hurd’s last match as a professional referee was on November 6th, 2016, when he ran line in the 2nd leg of the MLS Western Conference Semifinals between Colorado Rapids and Los Angeles Galaxy. 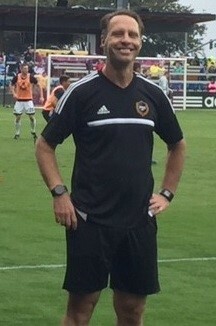 In his MLS career, Hurd worked 102 regular season matches as well as 8 playoff fixtures. He was also appointed to his first U.S. Open Cup Final in 2016, his last season as a professional referee. Representing the USA at the FIFA level, Hurd was chosen for the 2011 FIFA U20 World Cup, 2012 Olympic Games, 2013 CONCACAF Gold Cup, 2013 FIFA Club World Cup, and ultimately the 2014 FIFA World Cup in Brazil. 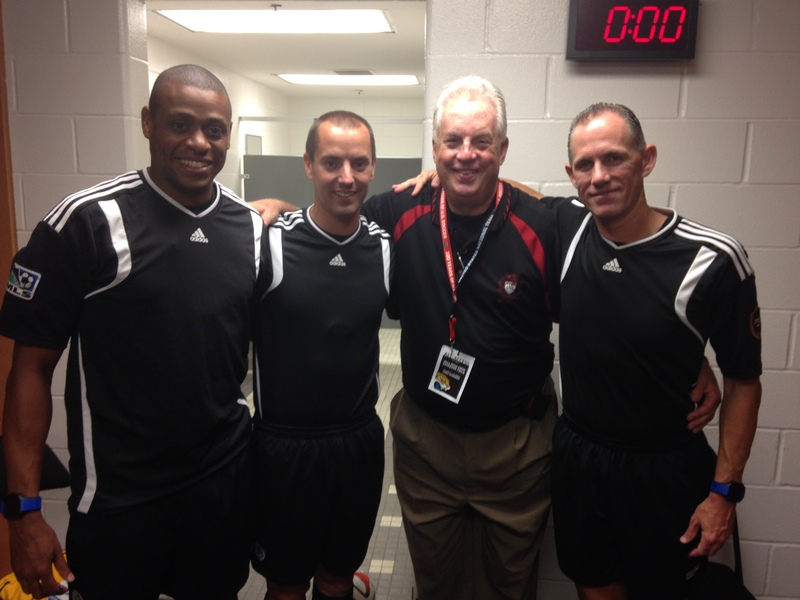 (L-R) Joe Fletcher, Mark Geiger, longtime MLS Referee Liaison Bob Cowhey, and Hurd. Sean, what makes this the right time to retire? I absolutely love the game and the individuals associated with the game, especially my referee “family”. While my passion for the game has not diminished, it is an important time in my personal life from a family perspective. My family has supported years of me being away and I have missed some major milestones in that time. It was also very important for me to go out on my own terms and while I was at the top of my game, so collectively this was the right time to retire. I have had so many mentors along the way, there is no way I can do all of them justice. So many different people have had an influence on me as a referee and as a person. At the local level, several took an interest in me and helped me in a number of ways: Jozsef Michna, Rodney Kenney, Brooks McCormick, and Grant Merrill to name a few. Across the country and internationally, I was fortunate to receive guidance from the likes of Esse Baharmast, Don Wilbur, Herb Silva, Alfred Kleinaitis, Paul Tamberino, Brian Hall, Rob Fereday, and Steve Taylor. Many, many others took the time to mentor me and provide me with feedback along the way, but a common thread between all of them is their undeniable passion for the game and for helping referees develop. Looking back, is there a game or an experience that stands out above the others? There are so many great memories on and off of the field. Obviously the 2014 World Cup in Brazil was the pinnacle of my refereeing career, but I think the one that holds a very special place in my mind is the 33 days we spent at the 2011 FIFA U20 World Cup in Colombia. Our crew (Geiger, Hurd, & Fletcher) was literally put together a few short months prior to the competition and once we got to the tournament, it was clear from the beginning that it would be an uphill battle. At the time, not many in the international community thought our crew could referee at the highest level, and why would they? Especially since we were largely unproven internationally at that time. As the tournament progressed, there were pain points (literally) and obstacles to overcome, yet we never wavered and the chemistry of our crew strengthened with each passing day. We were determined to represent our countries in the best possible way and let our performance on the field speak for itself. In the end, we were rewarded with the appointment to the Final between two storied soccer powerhouses, Brazil and Portugal. It was difficult at times, but both my family and my employer were extremely flexible and understanding. From a family perspective, technology was a big help because I was able to connect with my family from most of the locations I visited. Occasionally the time difference proved challenging, but when you are away for long periods of time you make it work. I think the key was making sure that when I was home, I focused on my family and tried not to be quite as immersed in soccer the whole time. From a career perspective, I was able to work remotely, so it was manageable most of the time. When it was not optimal to work remotely, the wonderful team working for me in Jacksonville pitched in and covered for me. From 2011 to 2013, you were at FIFA events that represented progressive tryouts for the 2014 FIFA World Cup. Referees like to say “just do what got you here.” What advice would you give, and how does that experience affect your approach to games now? 1) Preparation – prepare mentally and physically for each match and/or event. Never stop learning. 2) Execution – preparation will help ensure you are in the best possible position when a big decision is necessary. 3) Confidence (without arrogance) – be confident in your abilities, but be humble at the same time. Remember, no one is indispensable. 4) Control the controllable – Don’t let outside noise influence you. Be aware of it, but don’t let it interfere with your performance. In the 2014 FIFA World Cup, you had a critical game in the group stage – Spain vs. Chile. The game was hugely important, considering that Spain – the defending champions – was at risk of being knocked out, and the world was watching intently. Can you recall that experience for us from your perspective? 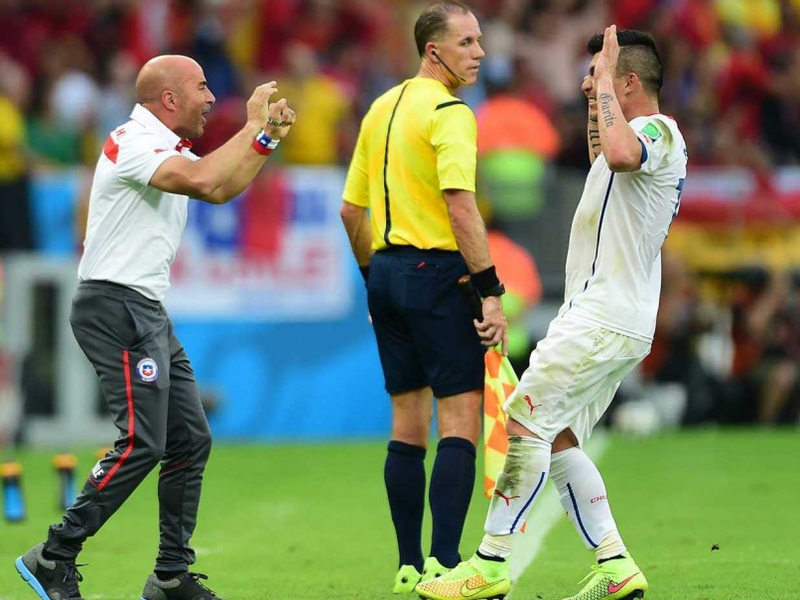 Spain vs. Chile was a monumental game and stakes for both teams were high. The eyes of the world were focused on this game because a loss for Spain meant elimination. All games have some level of pressure, but big games often come with higher levels of pressure simply because of the significance of the outcome and the teams involved. This game was no exception, including pre- and post-game drama. Before the game there was so much tension, not with our crew, but with the players and the atmosphere. It was electric! As part of our preparation for the game we met with our referee coach, Esse Baharmast, back at base camp to go through team tactics. Pre-game activities continued in the locker room with a telephone call from the Head of FIFA Refereeing, Massimo Busacca, who offered his own version of words of encouragement. Then there was Fletcher’s now infamous match commissioner handshake snub in the tunnel as we waited to take the field. Of course the game itself was spectacular and lived up to the hype. Post-game, things continued with reports of the pregame handshake going viral and the overly enthusiastic fans who celebrated a little too much by gaining access to the media room. Hurd, seen here with Greece before their FIFA World Cup match against Colombia on June 14, 2014. This was the crew’s first of three matches at the tournament. We see all the games on TV, but can you describe the daily life & what happens behind the scenes of the major tournaments? The games are often the easy part of the tournament, comparatively speaking anyway. The days and nights are long and non-game days often begin at 6:30am with weight control (physical weighing and body composition analysis), followed by breakfast as a group. Depending on the day, there would be either field training (physical conditioning and/or game simulation activities) or classroom training/game debriefing after breakfast. We normally ate lunch as a group, then a little down time before either an afternoon field session or classroom training. Dinner occurs as a group at about 7pm and that is usually the end of organized activities. In Brazil we had a recreation room where we could unwind with ping pong, foosball, and other games. On match days when we were not working a match, we would often get together in small groups to watch the matches. Sometimes we would gather in someone’s room or in one of the private areas set up with TVs. Depending on the country, travel days were usually 1-2 days prior to match, so the schedule was a little less formal when away from the base hotel. Usually early in the morning or late in the evening were the times when we could connect with family and friends or get some work in. They try to give a day off or a “free day” as we like to call it about every 7 days or so where we would make it a point to absorb some of the local culture. What pieces of advice can you pass along to up-and-coming referees? Enjoy yourself. You never know when it will be your last game, so treat each one like it is your last and enjoy the moment. What memories will you take away from refereeing? The friendships mostly, many of which will be lifelong. Also I have been privileged to travel the world and see some truly amazing places. I plan on catching up on some of the family time I have missed, but I also hope to stay involved with the referee program in some capacity. 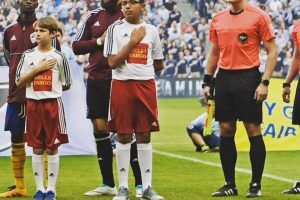 Even if nothing materializes within USSF, PRO, CONCACAF, or FIFA, I plan on continuing to mentor young referees in my local area as much as possible.